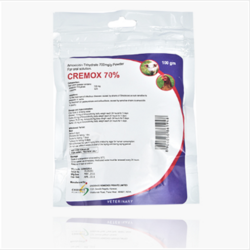 We manufacture Amoxicillin Trihydrate & Diluted Potassium Clavulanate For Oral Suspensio. Amoxicillin (Amoxil) is an inexpensive drug used to treat certain kinds of bacterial infections. This drug is more popular than comparable drugs. It is available in generic and brand versions. 1. Lower Respiratory Tract Infections in particular acute exacerbations of chronic bronchitis (especially if considered severe), bronchopneumonia. 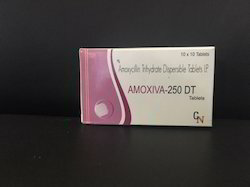 We are presenting the supreme quality array of Amoxycillin Trihydrate Capsules I.P. to our esteemed clients.